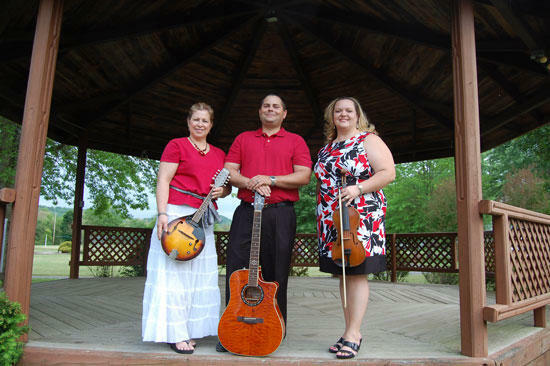 The members of the Southern gospel trio Three Parts Grace, Susan and David England, left, and Tina Nichols Fletcher, will present Coming Home, a gospel music concert featuring nine groups, beginning at 1 p.m. Saturday, May 12. Nine Southern gospel groups will share glorious gospel sounds at Coming Home with Three Parts Grace on May 12 in Auburntown. “We will have Southern gospel music in several different forms. We will have bluegrass gospel as well as a group of choirs coming in and also some of the traditional Southern gospel groups with us. Just a fun fellowship day,” said Tina Nichols Fletcher, who forms the trio Three Parts Grace along with Susan and David England. 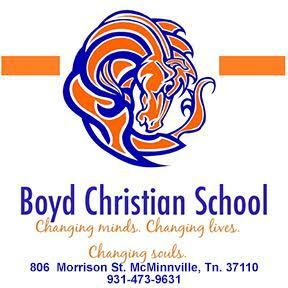 Two African-American choirs will perform during the day: the Society Hill Missionary Baptist Church Choir from Macomb, Miss., and the Hickory Valley Missionary Baptist Church Choir from the Kittrell community in Rutherford County. “Ernie Dawson and Heirline and our trio are doing kind of the newer style of Southern gospel, not the contemporary praise and worship but what you’re hearing on the radio right now on the gospel stations,” Fletcher said. Fletcher’s partners in sound, David and Susan England, who live in Auburntown, performed country music before making the switch to gospel and are truly glad for the change in style. “We honestly enjoy being able to do something that makes a difference. We’ve seen people walk the aisle, and we’ve seen churches get healed spiritually that have had turmoil,” said David, a native of Sparta, Tenn., who is a project manager for Siemens Building Technology. She, too, finds performing gospel more fulfilling than country. The three met at Shiloh Baptist Church, between Auburntown and Woodbury, where Fletcher’s father serves as pastor. “We became very good friends from there. Friendship led to second family and the trio,” recalled Fletcher. The gospel songfest will allow some of the local churches to share information about their congregations. “We’re giving pastors the opportunity to speak between groups about events coming up in their churches. In general this will be for churches in the Salem Baptist Association and some of the Missionary Baptist churches in the area (Woodbury, Murfreesboro, Alexandria, Smithville, Milton, Lascassas), and we’re looking to expand next year,” said Fletcher. She recommends that folks bring lawn chairs, while vendors will sell barbecue, burgers, hot dogs and soft drinks. “We will have canopy tents set up, so rain or shine, we’re gonna have it,” she says of the event. Lineup: 1-1:45 p.m., Patterson/Jones Family (Smithville, bluegrass gospel); 2-2:30, Hickory Grove Missionary Baptist Church Choir (Kittrell); 2:45-3:30, Renaissance Southern Gospel (Murfreesboro); 3:45-4:15, Society Hill Missionary Baptist Church (McComb, Miss. ); 4:30-5, Archie Watkins (formerly of The Inspirations and recently with the Smokey Mountain Review, Whittier, N.C.); 5:15-6, Ridgetop (bluegrass gospel, Woodbury); 6:15-7, Three Parts Grace; 7:15-8 p.m., Heirline.